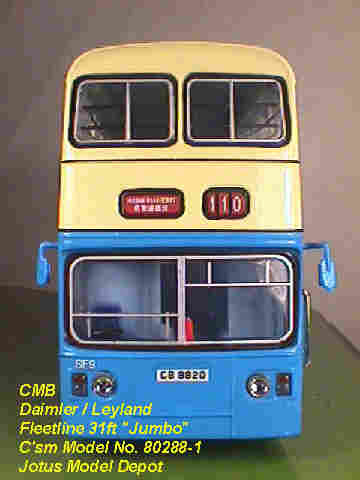 The model - The first Leyland Fleetline SF (Short Fleetline) from Collector's Model was released in Hong Kong on 1st April 2000. 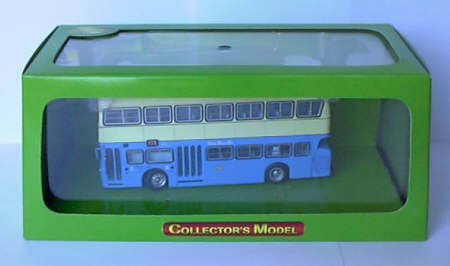 The model features poseable front wheels, and has an opening engine compartment. It is based on the prototype vehicle SF9. Surprisingly, the UK release, issued on or around the 6th June 2000, is based on sister vehicle SF30, on Route No. 15 to Central. This model comes in C'sMs new blue EFE type box, although the box end carries no printed model details, unlike the C'sM "Canon Smartcam" Dragon purchased at the same time. The limited edition certificate states Model No. SF101A, with a worldwide quantity of 2,000, and on the reverse is a photograph of SF30 (model). 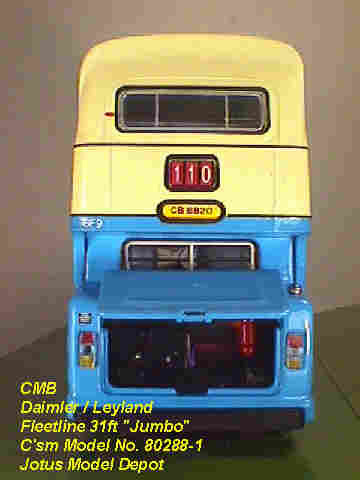 The bus - in 1978 China Motor Bus announced that the final 30 chassis of an order of 70 Long Fleetlines had been changed to 31ft vehicles. 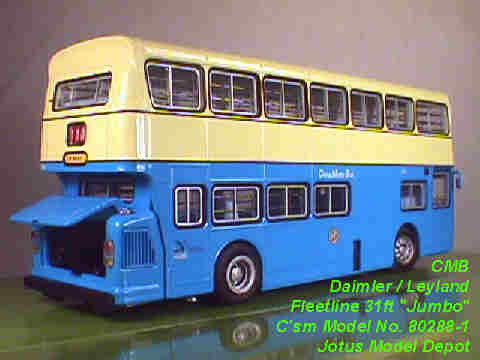 Alexander bodies similar to those fitted to the LF class were used, the most recognisable difference being the SF had a half width rearmost nearside window whilst the LF had a full width. 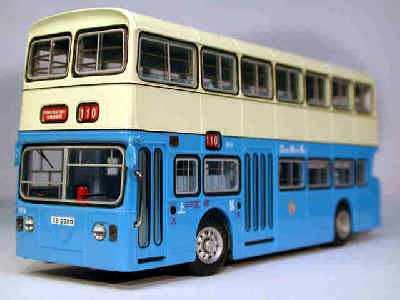 This would allow them to be used on routes 15 to The Peak and 6 to Stanley, where road conditions required shorter vehicles. "Having just purchased the UK issue SF (SF30) today and compared it with the HK issue (SF9), I have noticed a couple of small differences. The UK version has slightly different printed front windscreens and smaller light clusters for the side/indicators on the front panel. The UK issue also seems to have had some mod to it's suspension as there is a noticeably bigger gap between wheel and wheelarch compared to the HK issue."